Pourquoi s'exprimer? Why express oneself? 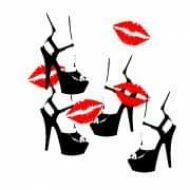 Posted byRed Lips High Heels September 23, 2013 Posted inHuman Rights, PoliticsTags: Freedom of Expression, Liberté d'expressionLeave a comment on Pourquoi s'exprimer? Why express oneself? The Bershka Skull T-Shirt Controversy in Lebanon! Posted byRed Lips High Heels April 9, 2013 Posted inWomen and ReligionsTags: Freedom of Expression, Goddesses, Lady of Guadalupe, Lebanon, Religions, Santa Muerte51 Comments on The Bershka Skull T-Shirt Controversy in Lebanon!